Fourteen people face drug crimes charges for operating a heroin market out of two homes in Sussex County, DE, one of which is located near a school for special needs children. Delaware State Police announced the arrests after a three-month long investigation that involved multiple law enforcement agencies, according to a report in Delaware Online. The illegal drugs and paraphernalia seized during the August 22, 2017 raid included more than 5,500 bags of heroin at one home and 216 bags at the second location. During their investigation, officials determined that a 17-year-old was involved with numerous sales of controlled substances, taking cash and handing over the drugs. Possession and trafficking in heroin are serious drug offenses in Delaware, but there may also be aggravated charges under the circumstances. Heroin is listed as a Schedule I drug under the state’s Controlled Substances Act, but there is a distinction depending on the activity. 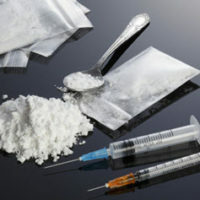 Possession, Use, Consumption of any amount of heroin is a misdemeanor for a first time offense, but state law categorizes the crime into tiers by the amount. Tiers 1 through 5 apply to amounts of one gram to five grams, respectively. The Sale of Heroin is a Class C Felony, punishable by a mandatory minimum of six years’ incarceration and a fine ranging from $5,000 to $50,000. Trafficking in Heroin is a Class B Felony if you sell or deliver 2.5 grams or more of the drug in any one transaction. The amount is also measured under Delaware’s Tier system, so a conviction could mean a mandatory minimum prison sentence up to 25 years and a fine up to $750,000 for 50 grams or more. There was a minor involved with the drug offense: Where the defendant is an adult and the offense involves a minor under the age of 18 years old, the situation is an aggravating factor. The juvenile may be a co-conspirator, accomplice, or the recipient of the controlled substance. Note that the defendant must be more than four years older than the minor for the aggravating circumstances to apply. The location where prohibited drug activities occurred was near a school. Delaware law punishes a drug offense as aggravated if the possession, sale, or trafficking in heroin took place within a certain distance of a school. Incarceration times and fines increase dramatically when aggravating circumstances are present, especially where the defendant has a previous criminal history. Delaware law punishes heroin possession and trafficking severely, but the penalties are even harsher when aggravating circumstances are present. Still, a prosecuting attorney has a considerable burden of proof to obtain a conviction against you. There are options for attacking the allegations and opportunities to defend the charges, and an experienced criminal defense lawyer can help. If you have been arrested for drug crimes, please contact the office of Michael W. Modica in Wilmington, DE. We can answer your questions and discuss your options at a free, no-obligations consultation.